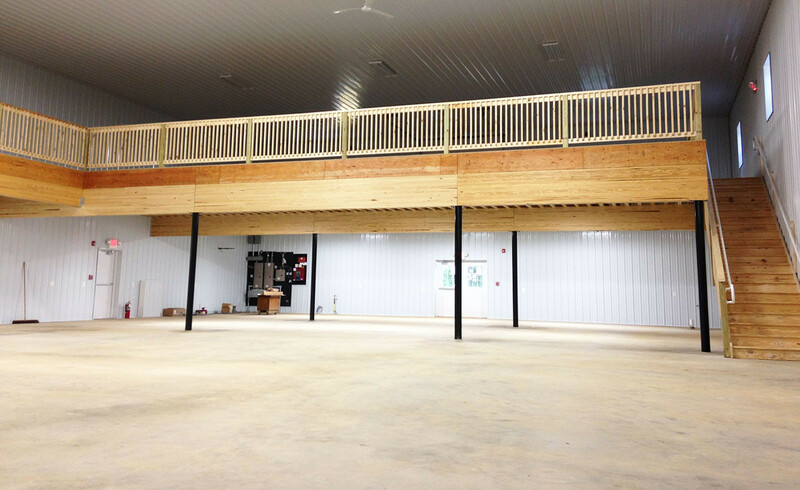 We believe that the look of the concrete can make or break the building. 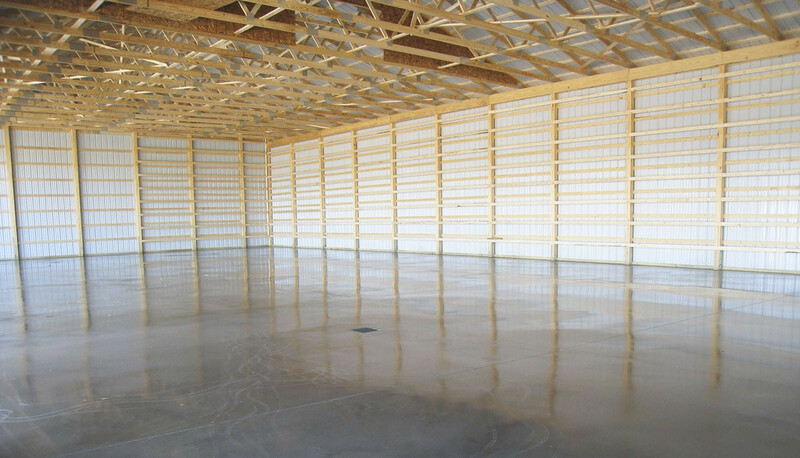 At Tri-State Buildings, LLC we bring you a high quality, smooth concrete finish, for that final touch. 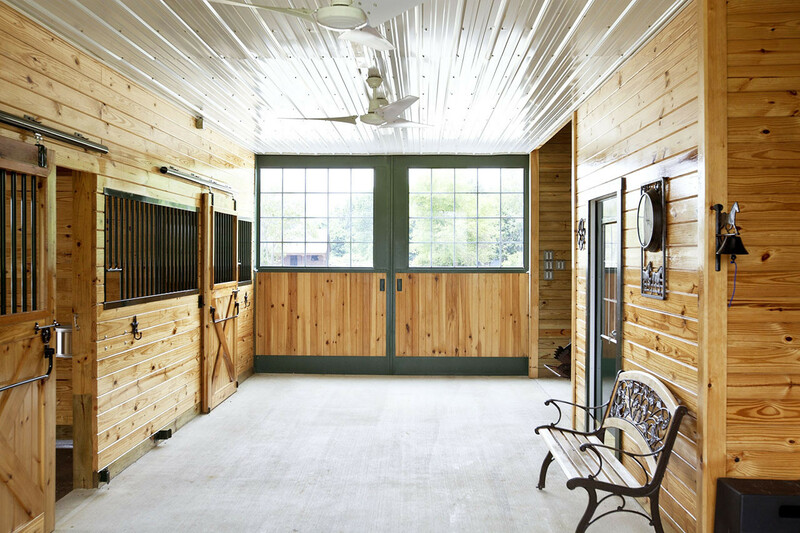 In equestrian facilities, a broom finish is typical on aisle ways, while feed and tack rooms normally are smooth finish. A 3–4” stone base is spread, raked, leveled utilizing laser technology, and then compacted. Our standard concrete mix is 4000 PSI with fiber mesh reinforcement. Saw cuts for expansion joints are created by the use of a special green cut saw. A final high quality sealer is sprayed on top to seal the concrete against surface moisture. 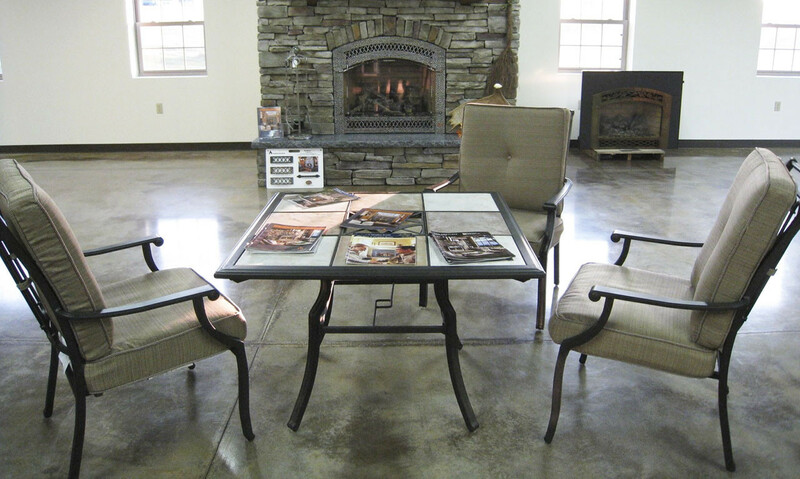 We also have stained concrete options available. * From experience we believe the use of regular 6 mil plastic as a vapor barrier to be useless and a waste of money as the chemicals in the concrete will cause the plastic to disintegrate in a very short period of time. While a vapor barrier is normally not mandatory by townships, Tri-State Buildings, LLC strongly recommends the use of Perminator Vapor Barrier to seal concrete against ground moisture coming up through the pad.